In this article, we give you advice on what to do when dealing with irate customers, including tips, examples and personal guidance to turn the difficult interaction around. It happens on a regular basis! Angry customers express their frustration by aiming their complaints at staff members. If this happens to you, then don’t despair. You are not the first to be concerned by raised voices and maybe even a threat of violent behaviour. Stay calm and devise a plan to face such a situation. How do I deal with angry customers? If you wish to be successful in any business, you have to learn how to handle angry and disgruntled customers, who may not have received the level of service that they expected from the company that you are representing. Before you devise a plan to cope with these difficult situations, it is important to try and understand the viewpoint from both sides. You are the initial point of contact with the angry customer and they are expressing their concerns about the company and not about you as an individual. Your aim should always be customer satisfaction, whatever the situation. How you achieve this is up to you based on your individual strengths and inter-personal skills. Listed below are five important points and examples of how to assist a difficult customer, followed by guidelines to help you develop your own personal strategy for dealing with them. One of the first and most important things to do is reassure the customer that you are listening. Even if you won’t be able to give them exactly what they want, they need to be sure that their message is getting across. The sad fact is that many customers will have had negative experiences with contact centres before. You need to demonstrate that they have your attention and that you really intend to help. Empathy is important, so it can help to show that anyone would feel the same under these circumstances. The quickest way to anger somebody is to suggest that they are overreacting. Even if the customer’s response does seem out of proportion, there are ways to be apologetic without just saying ‘sorry’. In fact, saying sorry can often give the customer a new avenue for their complaint – “sorry doesn’t solve my problem”. “The advisor has to understand whether the customer’s needs are ‘physical’ or ’emotional’. With physical needs, the customer is angry because they don’t have something they should have. Phrases for those customers are things like ‘Let me sort this out for you so you can get the refund you were expecting’. For more advice on how to do so, read our 18 essential empathy statements, with guided commentary. If the customer’s anger is making the call difficult to deal with, try to keep things factual. Simply outlining the situation encourages them to focus on their communication and makes it harder to maintain an aggressive tone. It’s also very useful to give the customer some idea of what measures you are going to take to help them. You may be confident in your abilities, but they don’t know anything about you or the process you are following. Advisors can use phrases that build a relationship with the customer, making it much harder for them to act aggressively. Finally, advisors need to sell a solution to the customer. This can be tough, because it’s not always going to be the outcome that the customer hoped for. By bringing them into the process and offering the solution as an agreement between both parties, advisors stand a much better chance of resolving the issue. If they’re not totally happy, you can ask them what would need to change, and then look for a middle ground. After all, they can only do this for so long. Once they are out of steam you can begin to problem solve the query. If you interrupt the customer, you will only make them more irate. When the angry customer finally takes a breath, then you should add in the empathy quotes, as suggested earlier. If an issue is recurring, instead of just dealing with it each time, talk with management about improving processes so the issue is minimised in future. This way you are actively assisting angry customers, whilst avoiding future stress. Remember that the simple mathematical rule of ‘two negatives make a positive’ does not work in this case. You have to face a confrontational situation by calming the irate customer with your positive and professional behaviour. It is only by empathising with their viewpoint and suggesting a possible solution that you will resolve the situation and satisfy the customer. An advisor should never use the word “NO” (including its variations – “it’s not possible”, “it can’t be done”, “we do not have” etc.). The customer on the other side of the line expects to hear what the advisor CAN DO to fix his problem and not what’s not possible! Remember that you have two ears and only one mouth – so make sure you listen more than you speak. If you try to respond forcefully when your customer is angry , then the situation will certainly get out of control and you are unlikely to succeed in resolving the situation. More importantly, by listening carefully, you will be able to understand why the customer is complaining, so that satisfactory steps can be taken. Once the anger subsides, there will be a short interval when the customer pauses for breath and that is when you have an opportunity to express your empathy and understanding. You have to show that you care and that you will do everything within your power to try and resolve the situation. This exhibition of your concern will win the customer over and half your battle will be won. There will be a significant change in their behaviour and you will be able to turn the situation around. It never pays to be impatient, in any business. Although it is not easy to control one’s emotions when a customer is being unreasonable in their behaviour, you will have to remain professional, friendly and cooperative in order to succeed. Having patience with your customers and with yourself will go a long way in winning over hostile customers. Even in the worst of circumstances, try to overcome all negative tendencies and adopt a positive approach and mindset. This will also help you to manage your stress effectively so you are not weighed down by the hostile attitude of the customer. You should be gentle with yourself and try and express your point of view assertively without in any way offending your customer’s feelings. By the time you succeed in winning over the customer, you will naturally be exhausted and stressed. It is important for your own health as well as customer relations that you learn how to de-stress yourself. There is nothing like a hot cup of coffee to rejuvenate your sagging nerves. Or take some time off to listen to some music or chat with your friends in the cafeteria. Apart from music, meditation and breathing exercises may be effective. However, these are only suggestions; there is no fixed recipe for dealing with stressful emotions – you have to find what works for you. Getting angry is a common trait of human nature but you should learn to control your anger, relax and calm yourself so that you can express your anger in a subtle way without showing any emotions towards your customer. Do you have any have any further advice on how to deal with difficult customers? Please leave your thoughts and feedback in an email to Call Centre Helper. You provided the relevant information, which can help a lot to the employees among the businesses. Thanks for that, fortunately I will apply those skills I have read about, hopefully they gonna work for me. although it’s really hard to deal with irate customers,reading these article, in a way,had made me realize of one important thing-no matter how mad customers are,they are not actually really mad at you. Sometimes just listening to them vent out may actually lead to solving the root cause of their frustations. Great advice, I always remember that an angry customer isn’t angry at me personally, and that makes it much easier to deal with. We’re all human though, some workers find it upsetting, so there needs to be proper support and training in the workplace to help us cope. Life is what YOU make it. You can’t please everyone in this life. Some customers will work with you, some against you. DO NOT TAKE IT PERSONAL? Yes, you should but learn from it though. If a customer says, “can I talk to someone else who can help me?” That is a direct insult that you do not know what you, the CSR, are doing??? Get the hint and update your CSR=customer service training and apply what you learn. Seriously, watch how you approach (one) mag client!!! That client can damage your business or build your business. Customers Make Your Business Grow! Keep the worth keeping, damp the one not worth your time and YOU SHOULD KNOW THE DIFFERENCE. Speaking as a customer and not a CSR, I agree that CSRs should not take angry customers personally. But I will say that this article ignores why some customers get angry in the first place: incomplete knowledge on the part of the CSR (which I blame on training, not the CSR). When I call a call center with questions, I’m always very nice, but I get easily frustrated by the CSR who has not been properly trained and does not know the answers to my questions (not the complicated ones in which I usually get transferred to someone else; I’m talking about the simple questions. For example, a banking CSR I talked to didn’t know that a stop payment on a check means that the money is not deposited into the payee’s account). I’ve had CSRs not know the answers to simple questions more often than not, and I blame this on training (and possibly un-motivatingly low pay), not the CSR, but I do get frustrated by this and you can hear it in my voice. So to all you CSRs out there, on behalf of customers like me, we’re not mad at you, we’re mad at the companies you work for because they don’t care enough about us, the customers, to thoroughly train CSRs to answer our questions (or at least have someone higher up readily available to help out the CSR). And when dealing with important things, such as our money, we have a right to be worried about being given incomplete or incorrect information. We appreciate that the CSRs are doing the best they can, but we don’t appreciate the businesses we keep in business cutting corners on customer service to save money. And to the writer of this article, you can tell CSRs to be polite and understanding until they’re blue in the face, but what calms down customers and makes them happy is answers and results, and I’ll take an unemotional CSR who gets the job done right over an apologizing under-informed CSR any day. I feel for CSRs because I’ve been in customer service jobs too, but, from experience, I know that the best solution is clearly communicated answers and results (and don’t be afraid to say “I don’t know, but I’ll find out for you right now”). It will make the customer feel better, and it will make you feel more confident that you can handle the customers. Those pieces of advices was something i have looking for. i agree that, the customers are shooting at the company we the CSR’s representing and not US for god’s sake. we, are supposed to listen and understand the situation without being carried away with the customer’s angry tone. Thank you very much. I just attended my first interview and waiting for my next call. thank you for this great article. It really shares a lot of information and strategies about how I should handle this kind of problem. I happened to be a call center officer. I love this job. I’ve learned from time to time, that raising your voice or even giving reasonable arguments are not going to work. They’re just going to make it worse and you will end up being in an endless argumentation. compliments, emphathy, and patience are the ingredients for success in dealing with angry customers. Your mindset will determine not only your success but your daily feeling of happiness! It is always so important to learn good communication skills. If you can communicate well, and not take things personally, you get better results. I have found that paraphrasing a customer’s concerns is good immediate feedback, and lets’ them know that you are hearing what they are saying – or that you need more clarification. In most situations what you say works. However, all companies and retailers have policies in place to protect a company and the consumer against rising prices. When an unreasonable customer expects you to break that policy because they think it’s wrong then all the empathy and understanding in the world will not help, it will just add to the situation. These type of customers you simply cannot help, they want something and you cannot give it. They will abuse you, be rude to you, you say sorry but you cannot help further and they leave. In the real world not everyone can be helped, not every customer is reasonable and not every problem has a solution.There are simply some horrible people out there that will spoil your day and it is these people that makes our job that much harder. customers are always right whether good or bad, though some customers are out there to frustrate your effort while trying to help them out of a nasty situation. it is the duty of any CSR to calm a customer down, show some understanding, empathy,patience etc CSR must put customers in their shoes to feel the way it hurts. it is very important for a CSR to have answers to questions at their finger tips because customers have the right to know. I will use the more calm, and relax and let the customer know that I will listen and take care of the situation as soon as I can and I will follow up with them to see if they have any more problems. Some customers are completely miserable, screaming and irate, insulting your intelligence, not letting you get a word in, the second you answer the phone. I’ve studied psychology and have worked in the customer service industry for 20 years. It is not me who has the problem. I’ve calmed, helped, and sent away more pissed people happy than I can count. But the ones that are there to ruin your day. If calming them down doesn’t work and they insult you, it’s within your rights to stand up for yourself and incite them and irritate them a bit when they get personal. I’ve been called every name in the book and I refuse to take from them anymore. Nobody pays me enough money to put up with that. The customer is NOT always right. I get sick of people saying I am angry when I am not, on the phone I may have a loud voice but it does not mean I am angry. So they should no prejudge a customer that they are always angry, customers can be upset because they are not listening properly and when they do listen it is like they do not want to help you. For example having to say get the Manager all the time when they could have done it themselves saves the embarrashment of the Manager plus myself. Having face this critical situation required patience from ourside and listen what the frustated customers have to tell.He need to get someone solve his problem as early as possible.The word”apologies” are the main tool to calm the angry customers and argument will give adverse result. this was an interview question for me few days back. the question was – your colleague went to the customer to fix the AC but the AC still not working and he was sulky and screaming when you went to the customer place . How would you deal with that situation ? thank you for the one post this things..
im goin to my first interview on thursday the common questions they gonna ask is how will you handle a angry customer is just like you handle a patient in a hospital who suffer from a disease thanks a lot who you are..
I’ve only just started a job in mail order, I’m used to working face to face with customers, and I am shocked at how much ruder a customer is over the phone than face to face. For some reason it’s easier for people to be rude on the phone than to your face, probably because you’re deconnected from the person you’re speaking to, you can’t see their body language, and you can’t see how much your upsetting them… I’ve worked in a shop for 5 years, and never had to deal with this much aggression on a daily basis. I wont last very long in this job, it’s too stressful for me. But while I look for a new job, I’m going to try the techniques advised above, and hopefully they will help. But I do think that if the company you’re working for isn’t very good, or efficient, then you’re the one who gets the blame. Which is extremely frustrating when there’s nothing you can do about it except agree with the customer that the company is rubbish. i am going to have 2nd interview with a bank for customer service job. and i am so nervous about the situtational questions i.e. tell about a situtation where you faced a angry customer and how you handle it? I have never worked before and it is going to be the first job. please help and give a suitable example. Hi GK, you can be honest and say that you have never faced such a situation as you have never been employed before. But you can say that if and when such a situation arise, you would handle it by being calm and professional and helpful. You would investigate the matter and provide the correct solution to the customer. And if its beyond your reach, you will explain that to the customer and get the supervisor’s help. It has been said in some modern business teachings that ‘the customer is always right’ is a false statement. ‘the RIGHT customer is always right’ is a more accurate saying that adheres to the 80/20 principle that 80% of your revenue that comes from 20% of best your customers. Spending 80% of your time dealing with the bottom 20% that can never be pleased or are not the right fit for your business is a time sink. It might be efficient but not productive. Seek first to understand then be understood and emphatic listening are basics to any good communication. Fire your worst customers and spend the additional time on the top 20% with random acts of wowness for greater profitibility and less tedious work environment. My experience with customer service includes 20 years as a Police Officer. Although it may not seem relevant the experiences there taught me that to calm a potential, or already heated situation is to remain calm and Listen. Taking on an US vs THEM mentality is great…just make sure you let the customer know you are on their side, and resolving thier issue is what you live for. 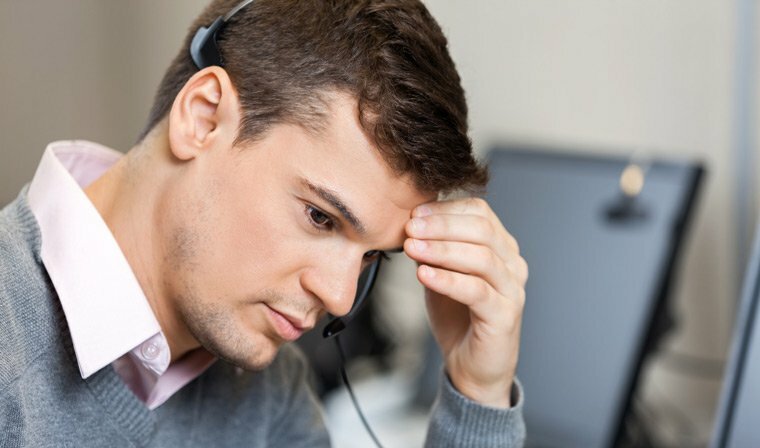 Thanks, this article is very useful not only to call center agent but also for every success men “Angry man open his mouth and shuts his eyes” I love to handle irate customers and make the call a Wow one coz customers are innocent and they do shout only when we people don’t value their voice. Having spend a number if years on the receiving end of customers complaining I have to say there are a few out there known as “Bad Customers”. Yes, look it up I kid you not, not every customer has a problem to resolve. I’ve had crazy people who didn’t have issues they just wanted to make something out of nothing. Some of the worse are customer employees, you know when they are calling in as a customer but they cross over and start ordering you around they you report to them with unreasonable requests. A well known large phone company is notorious for employees that love to behave this way. I worked customer service for 10 years in call centers and the above was definitely good advice a few years ago; you had time in-between calls to de-stress back then. However, now that most companies let go of large amounts of CSRs and have the remaining workers take 2-3 times the amount of calls FOR THE SAME SALARY it’s completely different. The present reality is that calls are non-stop which allows no time to de-stress after a difficult call. Sure, managers will tell you to take a breather if you find yourself getting stressed but then they turn right back around and yell at you for poor stats (which are now more important to companies than de-stressed CSR’s who give better service) which just stresses you out again. Bottomline, companies don’t want to give great customer service, they want to give OK service. Their present strategy is to burn out their workers and then simply hire new ones. This saves them a lot of money because they can basically reset salaries this way by firing an older, better paid worker for poor stats (happens easily once you get burned out) and hiring a fresh but inexperienced, new employee at the lowest starting wage. So, when you call, you either get an older, experienced worker who knows what they are doing but is burned out and ready to snap, or a nice representative that does not know what they are doing and will make mistakes but will be pleasant. For this to change, upper management salaries need to come back down to earth and the saved money from that should be used to HIRE ENOUGH WORKERS so that they do not burn out their workforce. This would allow CSRs to become more experienced thereby making less mistakes but still able to remain pleasant as a moderate workload allows time to de-stress. This is a quote I wrote after hearing other employees complain about calls from angry customers. I actually like those calls. I enjoy hearing the angry customers voice calm down and they say an appreciative thank you at the end on a call. Good pieces of advice. Thank you. wow..made my day to read all the comments. some I can found really true.. thanks all. This works only if the CSR has no direct control over what the customer wants, say the delivery of the products. What if say, I am an accoutant, and due to a lot of invoices to process, I could no longer handle anymore invoices to process for payment, and then a supplier calls, demanding for payment. That would be difficult to tackle because you cannot just tell them that you understand how they feel. You will also have to give them an assurance that they will be paid at a certain specific time, which I really should do or else the next time the supplier calls, an issue of “not keeping a promise” will rise up, which will become additional problem. You can use these tips in any situation, not just with angry customers. Use these tips in your every day life. Seriously. Customer is always right,keep this in mind.If he is calling u that means either he is angry or he is in a suggestive stage.If he is angry use ur ears rather than ur mouth and if he is in a suggestive stage use ur mouth. Our bread and butter is customer just think that if we dont have someone to call how can we manage our bread and butter. What do you do if the customer uses very rude language, do hang up or say Excuse me I will not accept this language and will cease the call if used again ? Lot’s of good points here. The “controlling one’s own anger” and “destressing oneself” jump out. The destressing is important so you don’t take out your frustration from previous callers on the next ones. The question though is HOW one does that, and perhaps we need to drill down to specific techniques people can use. HOW do you control your own anger? There are some ways to improve one’s ability to do these things, and we’ve mapped out a few more specific tactics to try at http://angrycustomer.org . I´ve read the article and most of the comments. It helped me realize that I still need to learn a lot of things but hopefully, I could make it to the industry. Thank you for all the tips, comments and suggestions that you had shared here. After 6 years in the call center, I received my worst call yesterday. I waived one document but definitely required another to action a simple request. The customer sent the wrong doc and refused to send anything else. It resulted in the worst email complaint I’ve ever seen, to the CEO. During the call I addressed his objectionable manner asking if something else had happened to cause his distrust which calmed him down. Overall, I suggest always having your managers number ready to transfer. No action was taken against me but today I don’t feel like the exceptional performer I’ve been awarded! Restating what you just said in different words leads to restating it multiple times. If you need to repeat it, repeat it, but don’t reinvent it-you will send a mixed message. Many people are balanced on the edge mentally-don’t deliberately tip them off the edge. Do not mushroom the situation-dragging multiple employees into it is drama queen behavior. I cannot begin to tell you how many situations I have seen explode and by the time it is resolved it is customer 1, employees 12. I just discovered Call Center Helper today and so much useful information all around. Will be a regular trotter here from now on, I guess. I love the point of not taking it personally when you are speaking as a CSR. There might be a lot of customers who might have made repeat calls and not got their problem solved. For them, you aren’t the first customer care representative they are speaking to. Maybe 3rd or 4th. The more you listen, the easier will be your job. If you take up a combative mode, it will only end up making the situation uglier. What is the answer for situational question . Please answer to this situational question .thank you . This is my first job as a service representative today the first call i got was from an angry client who started raising there voice and woukdnt let me speak i ended up frustrated and raised my voice for them to hear but that didnt help at all because they didnt stop just continued now i fear i will be fired. Recap all that was done! Educate: make sure your customer understands why things cannot be done the way they want by educating how things work, after all its not what the customer wants its what they need! Recap: Once all said and done reconfirm what you were able to do for them, customers in the end will understand the “why’s” and “how’s” and will understand that you took your time to let them vent found anything you could in power to assist them, bringing them back to their natural mood. I have a job on the phones @ work & get this occasionally too. I am not at all a patient person too & if anyone lets rip at me i’d look out. But the funny thing is with this situation my automatic polite voice turns on & I listen to them & help them with the situation, as I know how frustrating it can be sometimes. I have even sometimes had them call back saying sorry! It is so unlike me & everyone @ work says I am awesome on the phones. Great article and ideas. I would like to see more information and ideas on the closing section of the call.